Soaring among the skyscrapers of downtown Columbus, Sheraton Columbus Hotel at Capitol Square was designed with the modern traveler in mind. Our pet-friendly hotel is centrally located on Capitol Square, steps away from the Ohio Statehouse, Ohio Theatre, Greater Columbus Convention Center and Nationwide Arena. After a successful day of business, find yourself at our on-site restaurant with a mouthwatering meal and a crafted cocktail in hand. Flat-panel TVs, iPod docking stations, sweeping city views and plush bedding await your arrival. Propel your travel experience by reserving a club-level room and receive access to exclusive perks such as free high-speed Wi-Fi, complimentary breakfast and evening hors d'oeuvres. With our nine event rooms, custom catering menus and professional planners, you can effortlessly host industry conferences or special celebrations. 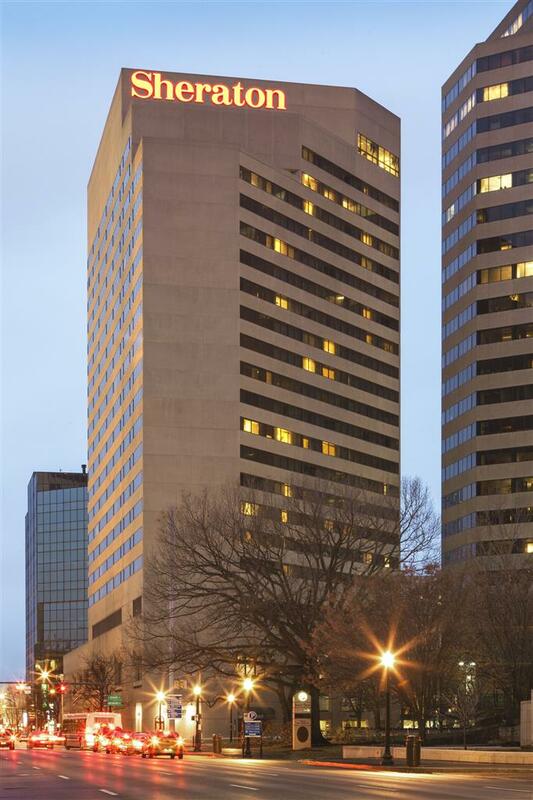 Business travelers and thrill seekers alike will delight in the intuitive comfort offered by Sheraton Columbus Hotel at Capitol Square. The Plaza Restaurant: Bask in the inviting ambiance of The Plaza Restaurant and Lounge. Our hotel's on-site restaurant serves mouthwatering Ohio favorites with an innovative culinary twist. Order a refreshing cocktail from the bar to kick start your night on Capitol Square. The Plaza Lounge: Bask in the inviting ambiance of The Plaza Restaurant and Lounge. Our hotel's on-site restaurant serves mouthwatering Ohio favorites with an innovative culinary twist. Order a refreshing cocktail from the bar to kick start your night on Capitol Square.